Pawn your Old Cut Diamonds- 25 Yrs of Loans on Old Cut Diamonds ! Of all precious the gems, diamonds hold a special appeal. Old Cut diamonds are often passed down through families for generations, but they are sometimes recut or reset. Though you are likely to think “I would never pawn my old cut diamonds”, if ever the occasion arises, it is good to have all the pertinent information at your disposal. 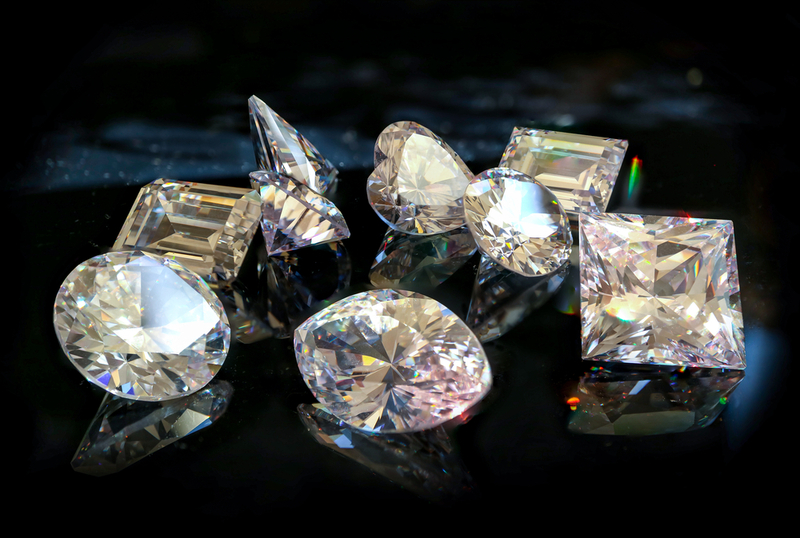 If you are looking for loans on old cut diamonds, then read on to find out more about these stones, their history, and their value. Nobody parts from their diamonds lightly, but in some cases, it can be expedient to arrange to release capital from your valuables for a limited time by arranging for a fixed term loan with a pawnbroker. What is an Old Cut diamond? In the earliest days of gem cutting, the shapes given to diamonds and other precious stones did not reflect any light. This meant that in early days, diamonds appeared black, and for a time, coloured gems such as sapphires and rubies were considered more beautiful and valuable. After gem-cutting had advanced, but before the modern style of cutting diamonds was invented, diamonds were not valued so much for their flashing fire as for their adamantine lustre. That is, they were valued for their hardness and their quality of drawing the eye into the depths of the stone. This is not to say that Old Cut diamonds are without sparkle, but that their sparkle is more subtle. Old Cut diamonds were all cut by hand, without the aid of modern cutting equipment. This means that there were natural variations in the cuts, and each stone was unique. There are three main old cuts of diamond: these are the Old Mine Cut, the Old European Cut, and the Rose Cut. The Old Mine Cut and Old European Cut are similar in their facet design, though from the top they appear as a squared circle and a circle respectively. They are both deeper in design than the modern Round Brilliant Cut, and their facets are larger than those of modern cuts, reflecting larger shards of light. The Rose Cut is different from the other two old cuts. It features a flat bottom and a faceted top rising to a single peak, and from above it resembles the shape of a rosebud or a honeycomb. This is a particularly charming and romantic cut of stone for old-style engagement rings. Old Cut diamonds are still very popular, with many people preferring the warm and romantic glow of the old hand-cuts to more modern cuts. Rose Cut diamonds, in particular, have seen a vogue in recent years, and are particularly sought after in ring settings. Old cut diamonds are also often sought after by jewellers who wish to reset the old stones into modern or unusual settings. Old Cut diamonds are also conflict-free, an important factor for some jewellers and buyers. All these factors drive up the value of those looking for loans on Old Cut diamonds, meaning that pawning your old cut diamonds at our award winning London shop can be a good option when looking to release equity from your property when needed. One of the most famous Old Cut diamonds is the Hope diamond, which was sold in 1908 for the equivalent of over $11 million. Though you might not get as much as $11 million for your own Old Cut diamonds, they are still a great asset. If you are looking to arrange a loan on your diamonds, or on any of your valuable items, then you should consider the award winning London pawn shop New Bond Street Pawnbrokers. The fast, secure, simple and confidential service is designed for clients to release capital from their valuables with the minimum of hassle. It is easy to arrange for a consultation appointment, where the staff can give you a fair and expert evaluation of your valuables. For more information on services provided by New Bond Street Pawnbrokers please watch our video here and read about the loan process here.